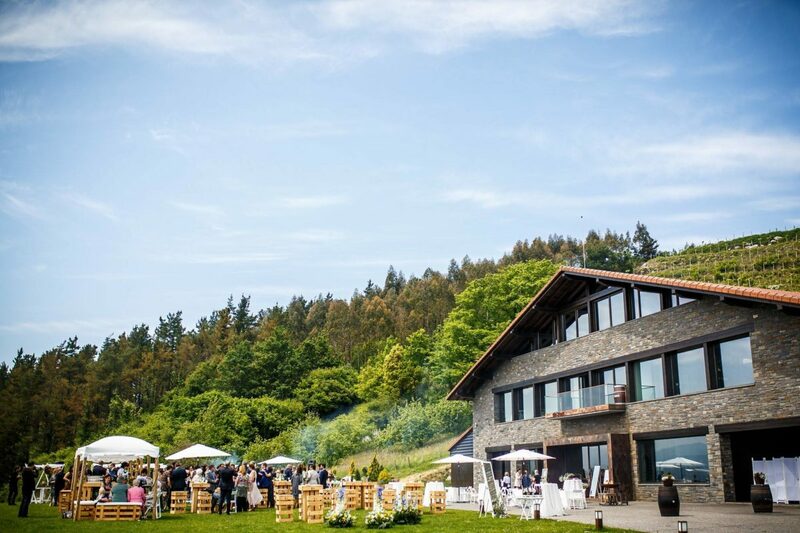 The garden at Bodega Katxiña lends itself perfectly to ceremony and to extending a warm welcome to guests. 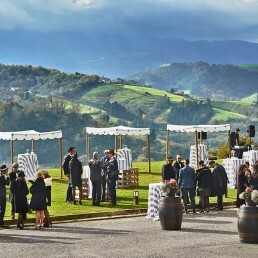 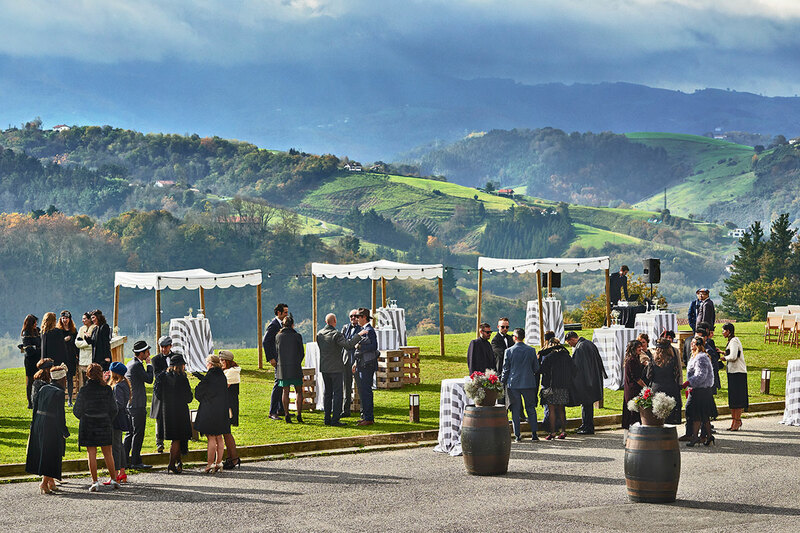 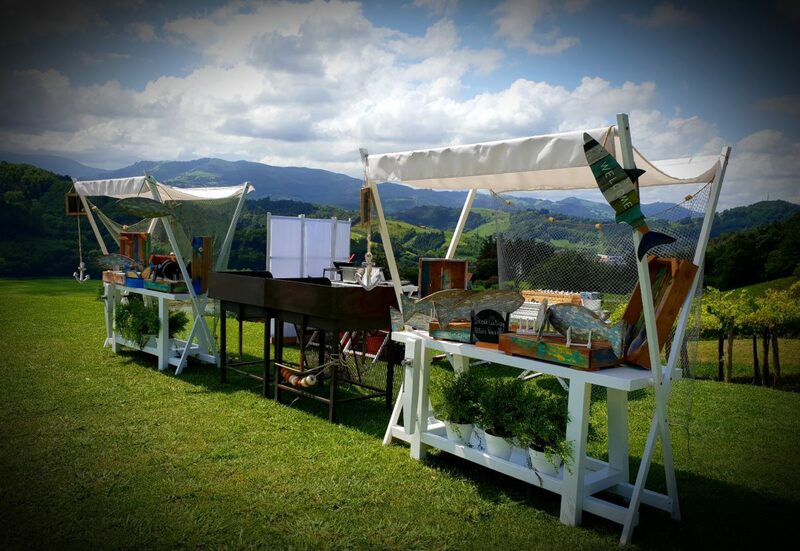 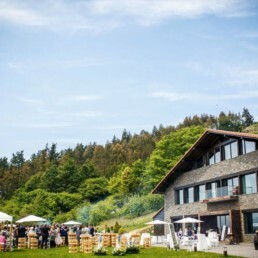 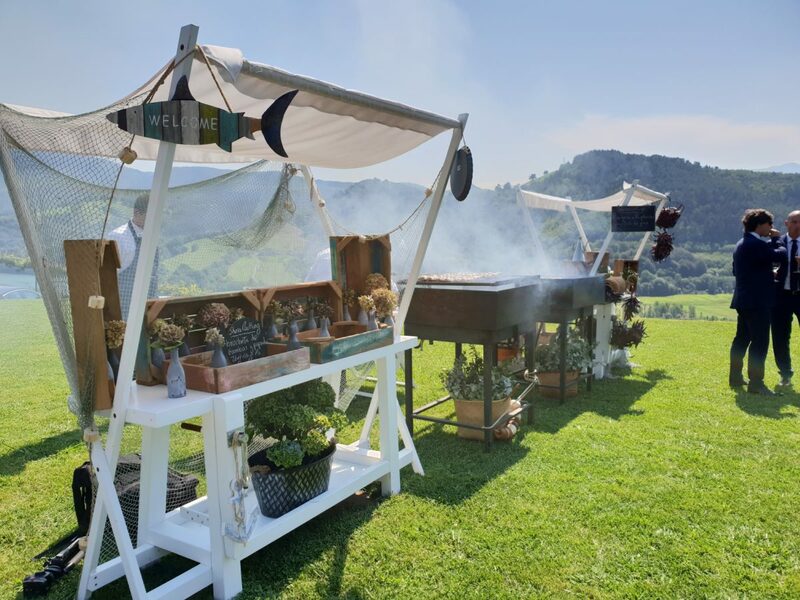 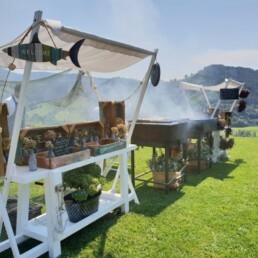 Enjoy the sense of wellbeing that permeates our landscape while sampling a delicious lunch accompanied by the Katxiña txakoli wine that we create ourselves in our own wine cellar. 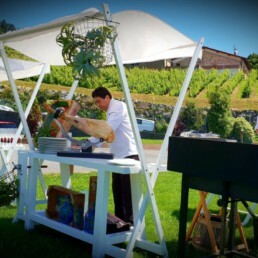 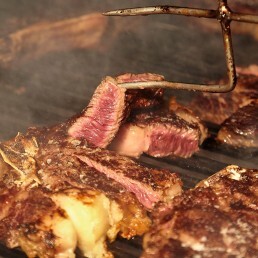 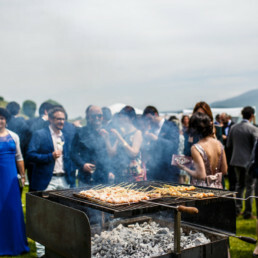 Inside the winery, the aroma from the grill will whet your appetite. 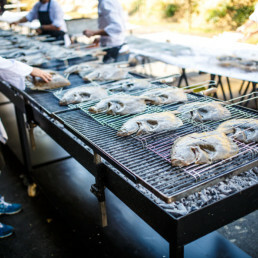 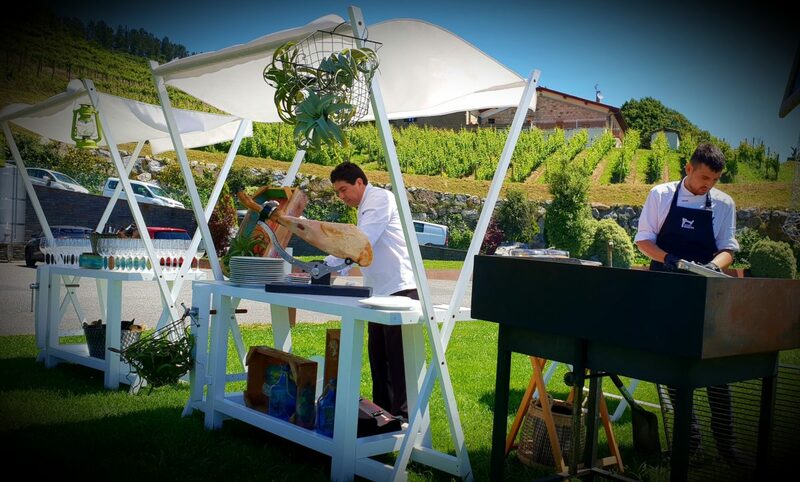 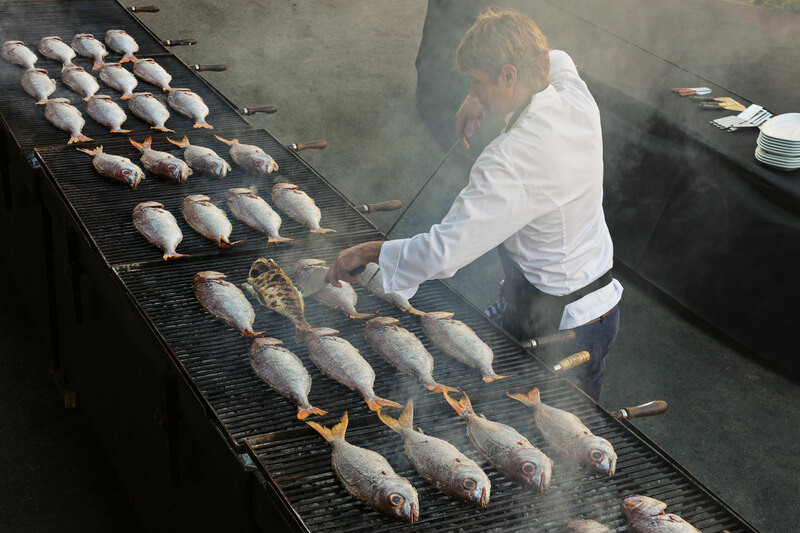 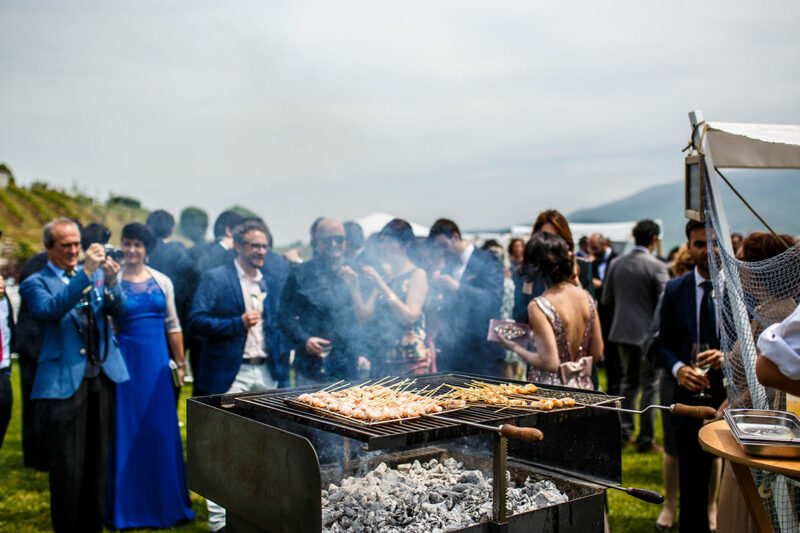 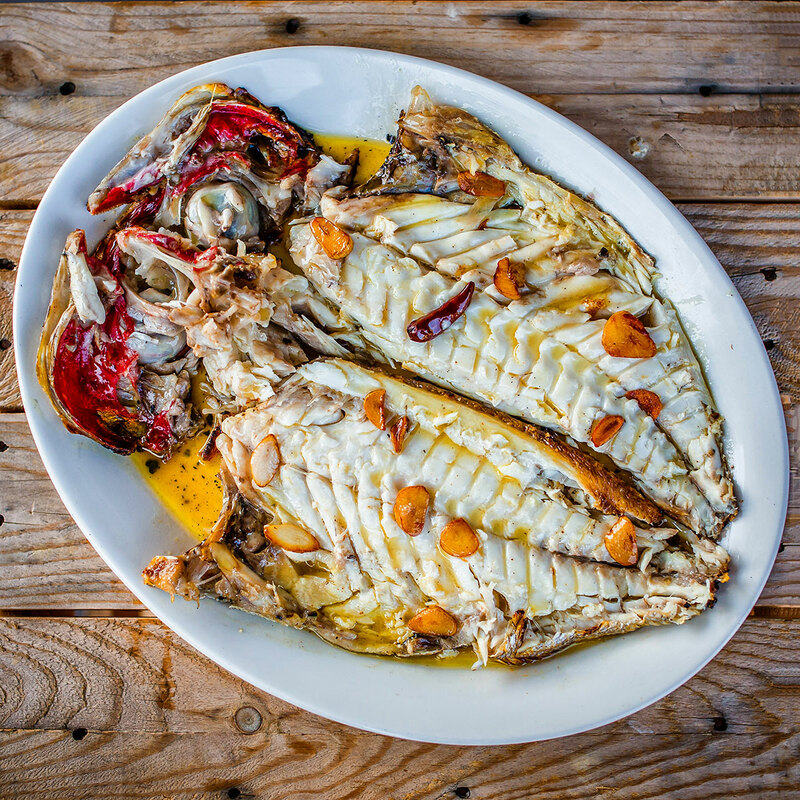 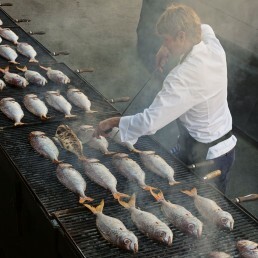 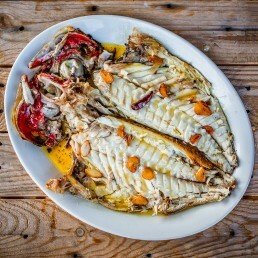 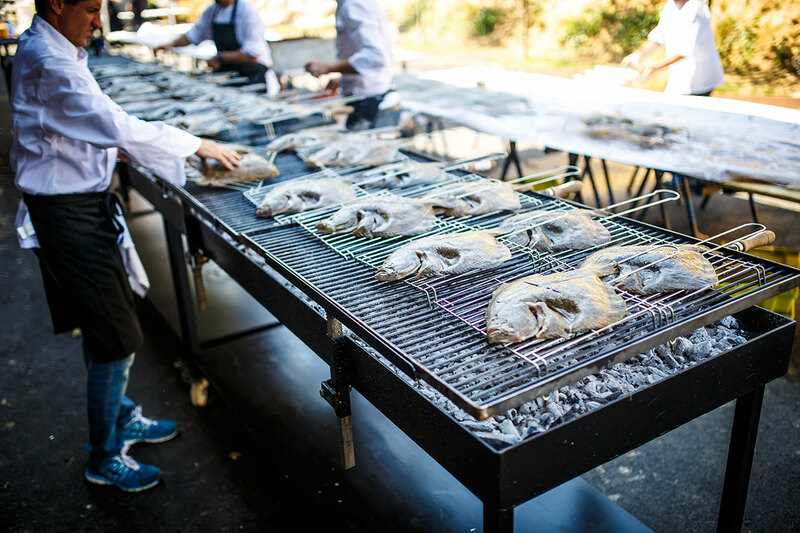 Dazzle your guests with a show cooking session at the grill: what could be better than a beautiful fish dish hand-roasted by our legendary Katxiña grill chefs? 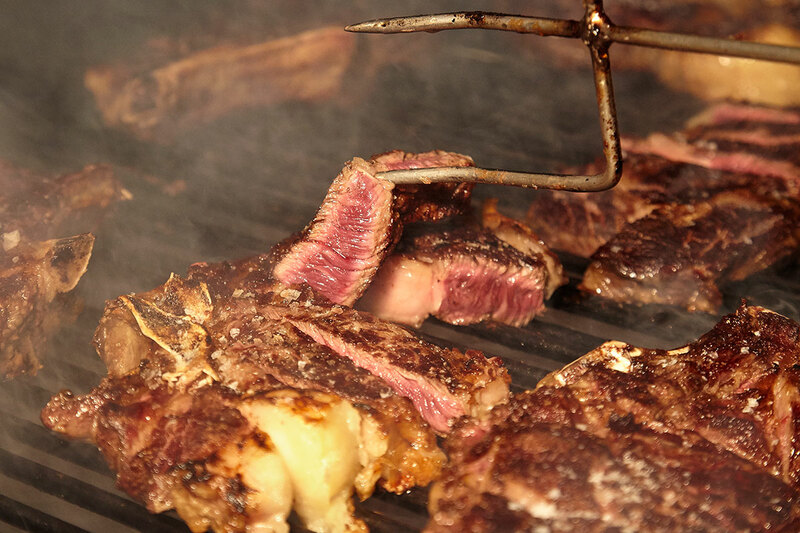 The txuleta premium steak will awaken your senses before gracefully giving way to the striking detail of the dessert. 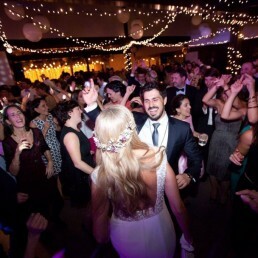 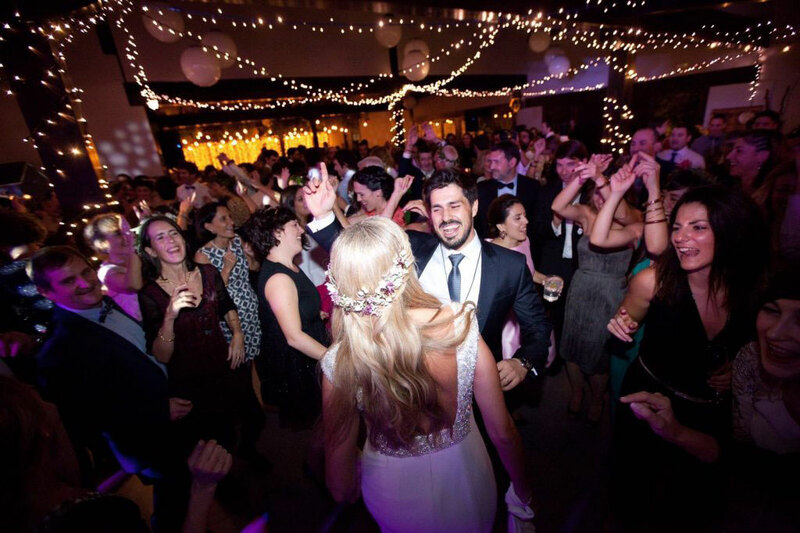 We have a dance hall for the more outgoing guests in addition to a chill-out area which will ensure that everyone feels at home at your party. 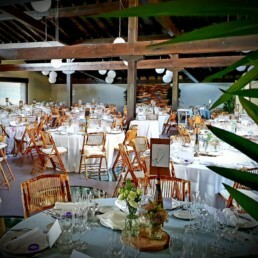 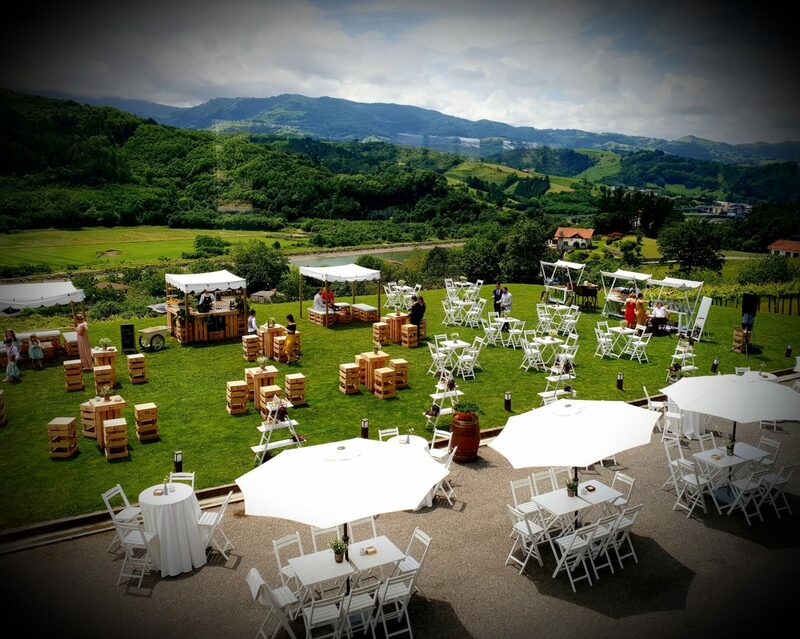 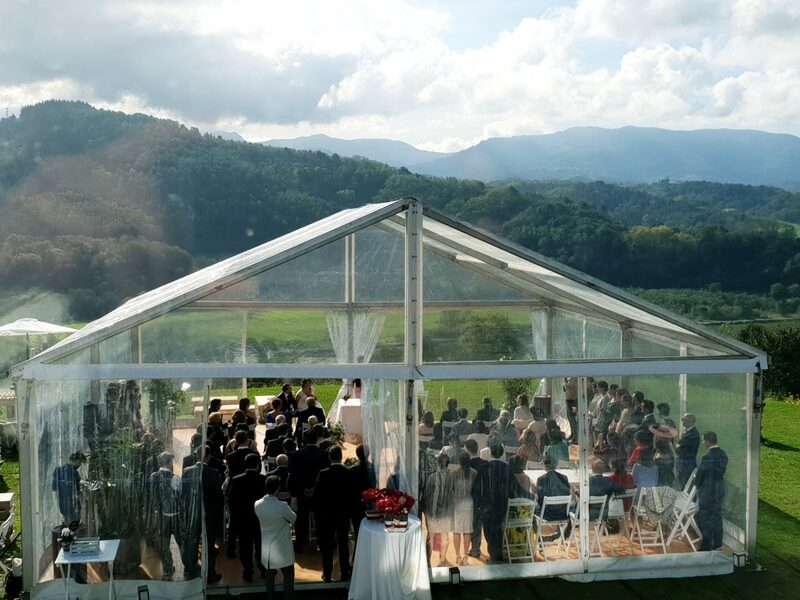 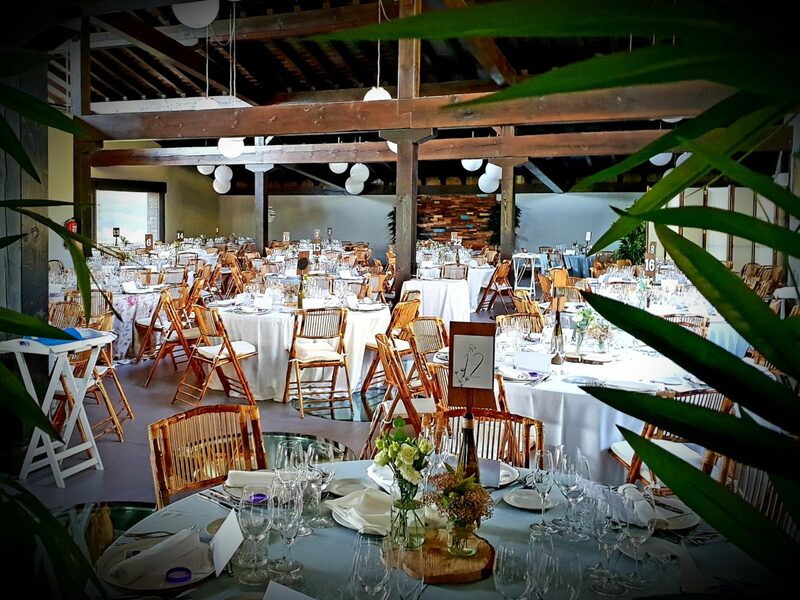 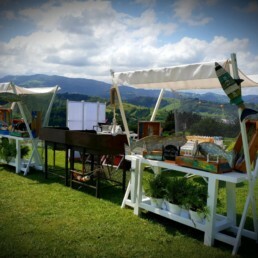 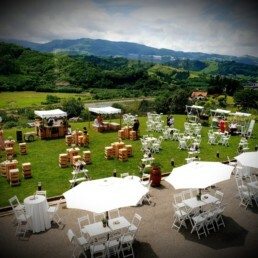 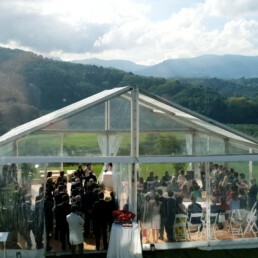 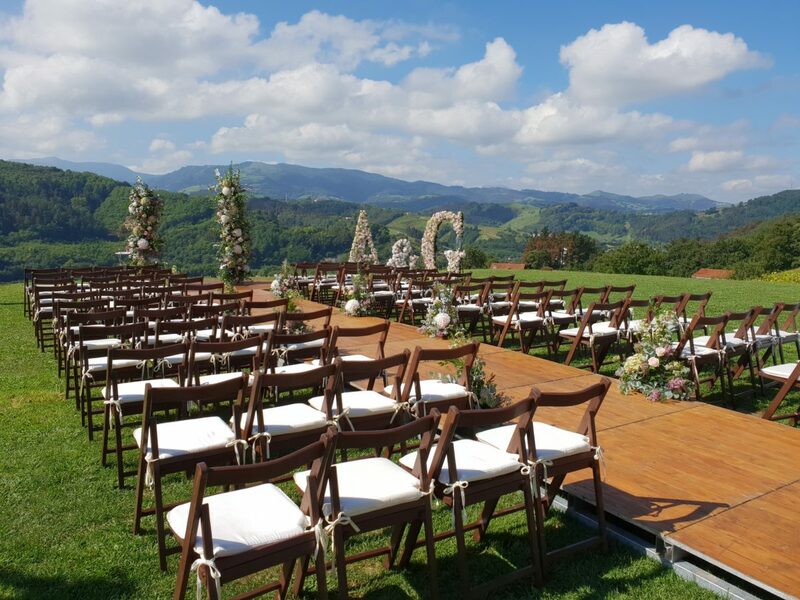 At Bodega Katxiña we can create you a wedding that is perfectly tailored to your desires. 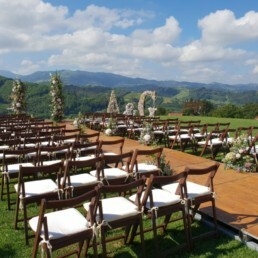 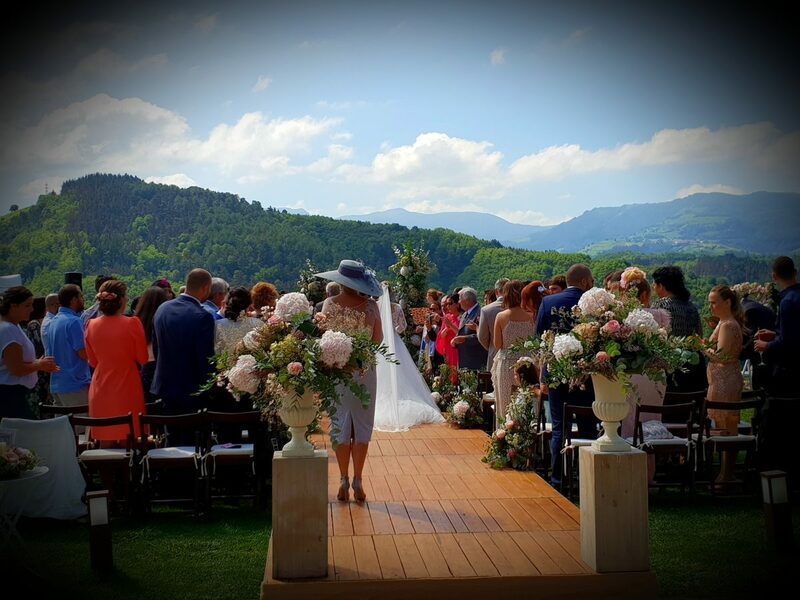 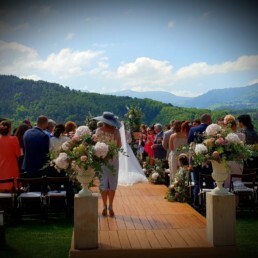 Embellish your luxury wedding and make it personal to you, making all the difference.